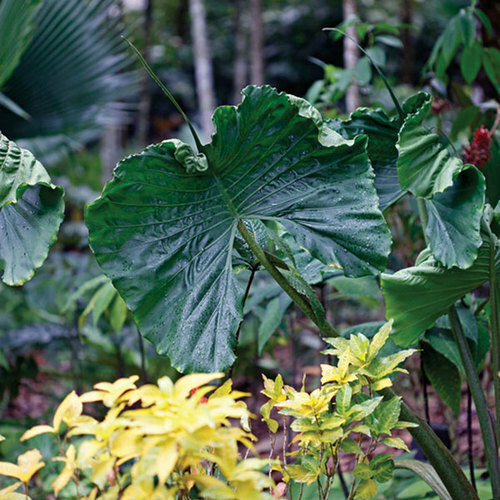 Elephant’s ears are large, evergreen perennials from damp sites in south and southeast Asia. 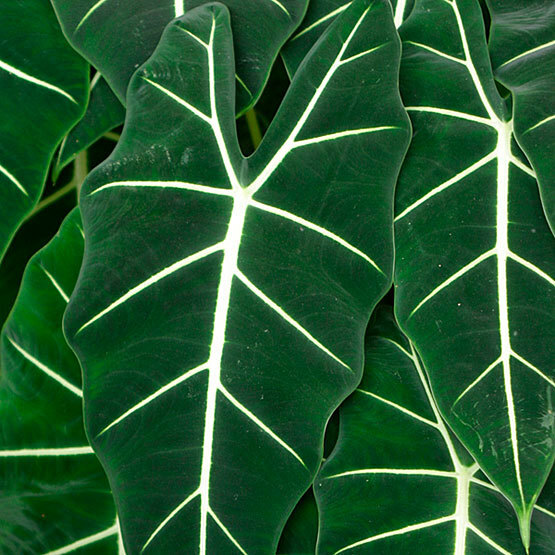 They are grown for their big, veined, arrow- or heart-shaped leaves, which may be marked with black, dark purple, or bronze. The flowers are fairly insignificant. 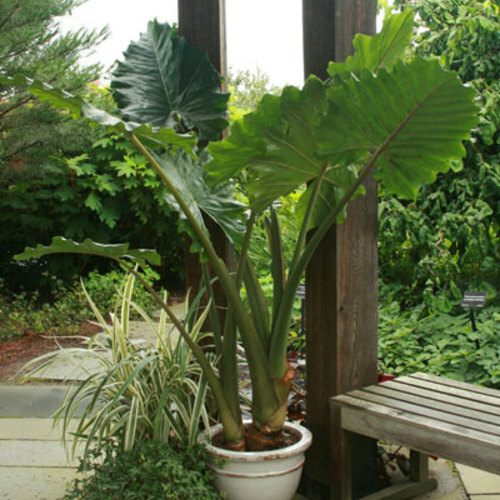 These rhizomatous or tuberous-rooted plants have a striking presence in the shady garden or large containers, or in a warm greenhouse or as a houseplant. Some species can reach over 15 feet tall. The tubers can be lifted and stored over winter. Noteworthy CharacteristicsLarge, heavily veined, arrow-shaped leaves. Sap may irritate skin and all plant parts may cause mild stomach upset if ingested. 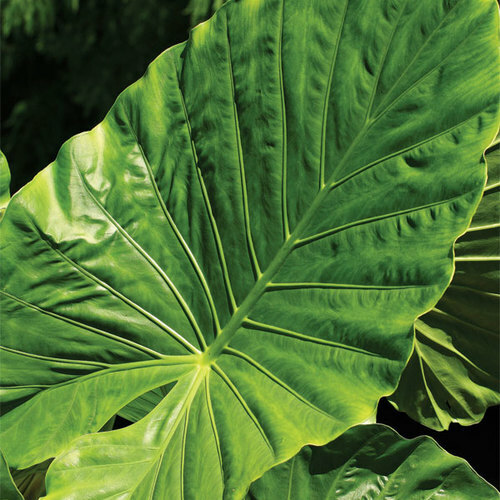 CareLikes moist but well-drained soil of moderate fertility in partial shade. Indoors, grow in filtered light. Provide high humidity, ample water, and fertilizer every 2 to 3 weeks during the growing season. Cut back on water in the winter. PropagationAs soon as the seed is ripe, sow at 73°F. Divide the rhizomes, separate offsets, or root stem cuttings in spring or summer. ProblemsMealybugs and scale insects can affect garden plants, while fungal and bacterial leaf diseases are common under glass.